I’ve seen several beautiful (but expensive) lamps that are boxy in shape and have beautiful translucent designs. Inspired by these designer pieces, I decided to play around with an idea that had been in my head for a while. Here is my (almost) unbreakable lamp, made from dollar store foam core board. 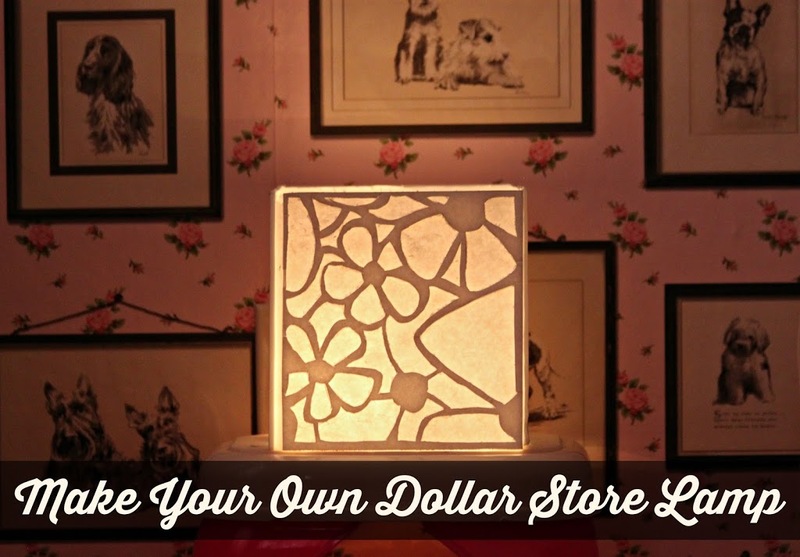 This might be the least expensive lamp I’ve ever made! If you’re looking for an even simpler foam core lamp idea, see this post. Step one: Use a craft knife to cut the foam core board to the desired height of the lamp. Mine is approximately 7 inches tall. I used a metal ruler to keep my lines straight as I was cutting. Step two: Divide the board into four sections. 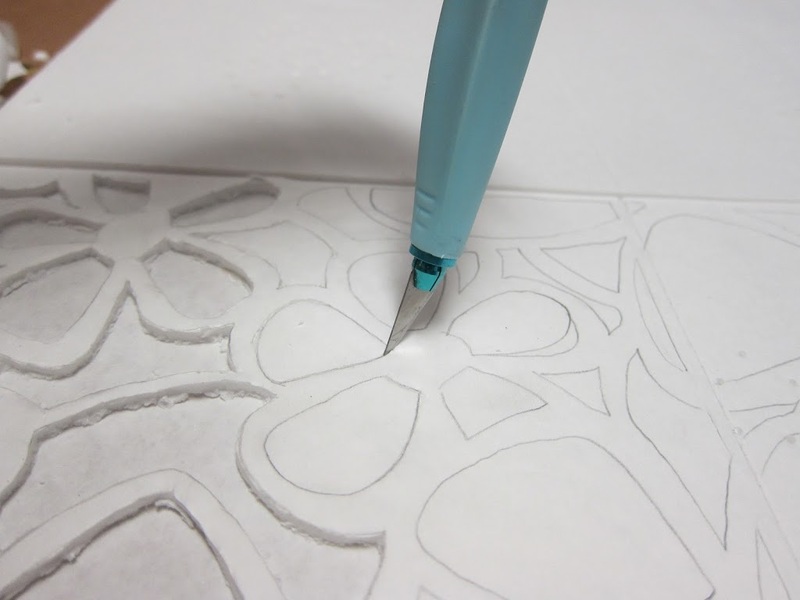 Use the craft knife to cut through the top layer, but do not pierce the paper backing. The backing will hold the sides together. 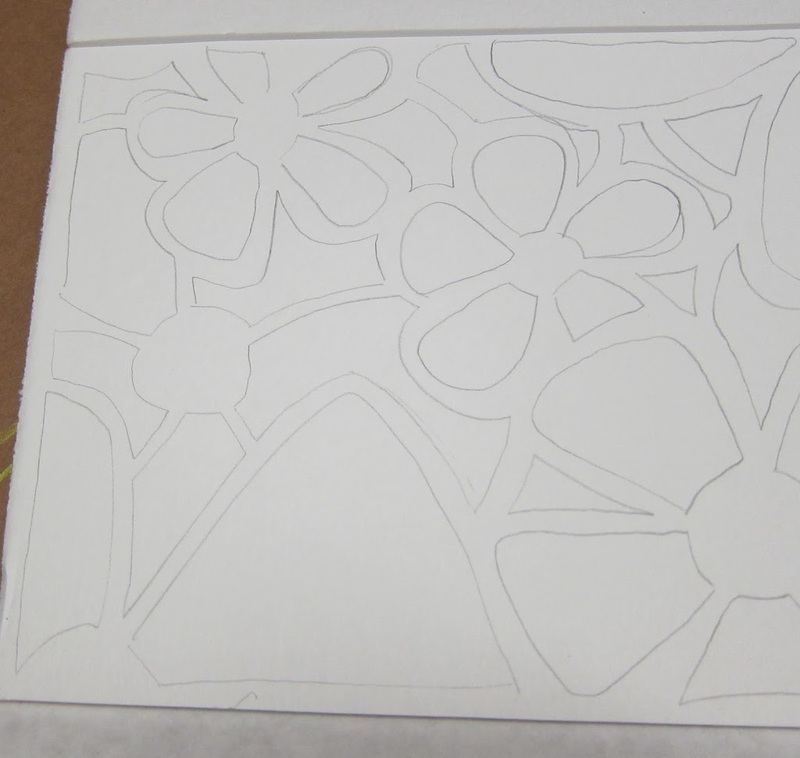 Step three: Draw your design in pencil on the foam core board. 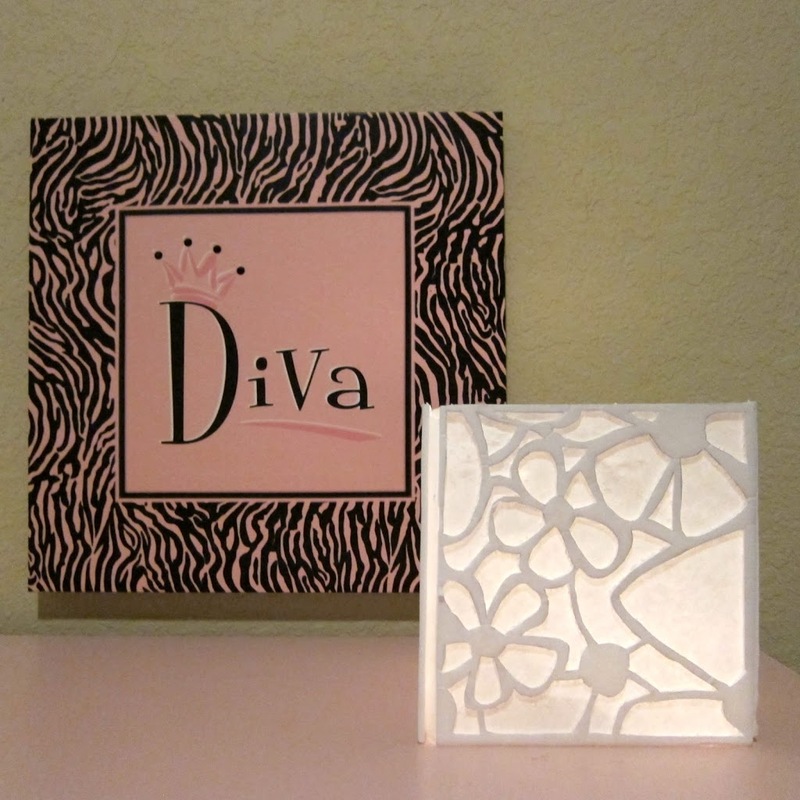 I used a floral stencil to create a pretty design to use in my daughter’s room. 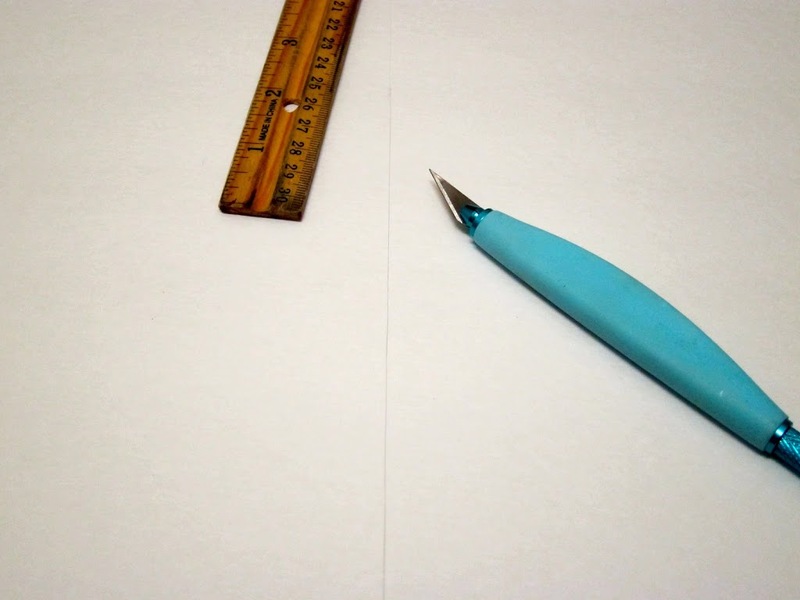 Step four: Use the craft knife to cut on the lines. Be careful not to cut through the back layer of paper. You simply want to cut the top layer of paper and the foam core. 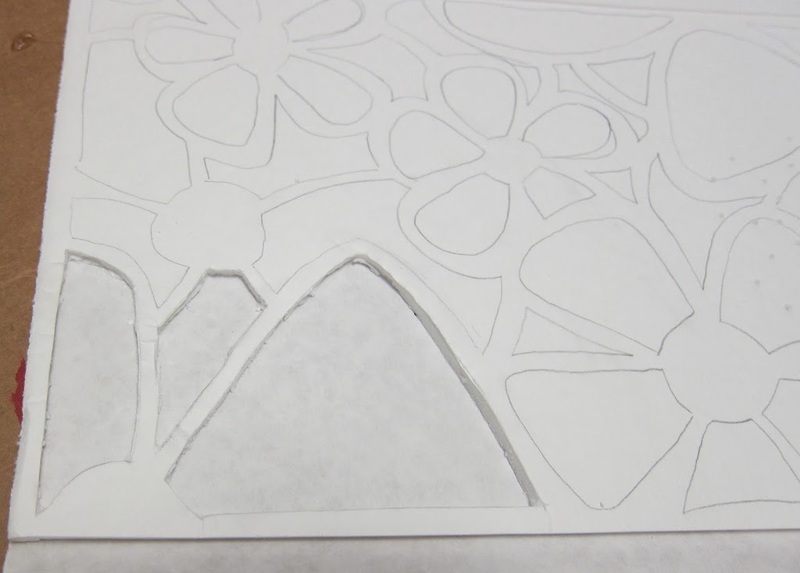 Step five: Remove the foam from the cut out shape, leaving the paper backing intact. When the design is complete, you can clean up the edges a bit with your craft knife. Step six: Fold the board to make a square. This is where the backing will help hold the shape. You will just have one seam that you will glue or tape together. 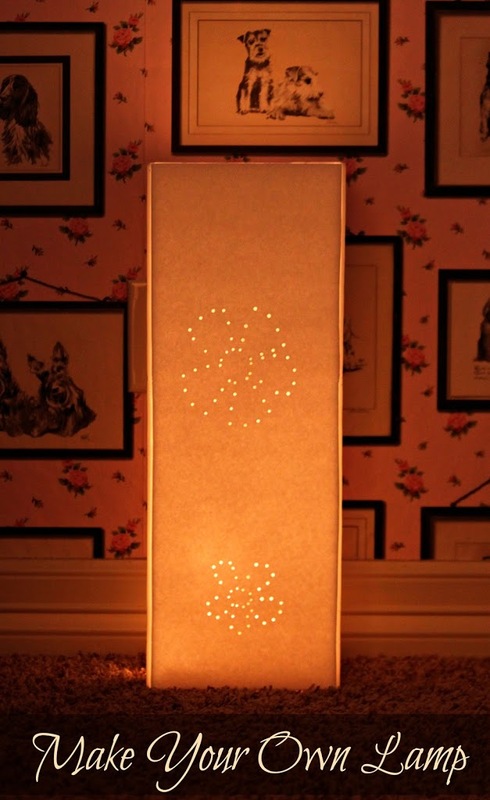 Place battery operated string lights on the candle holder, and set the foam board lamp over the lights. Isn’t it beautiful? I think it looks like expensive lighting you’d find in a catalog, and not something you made from dollar foam core board! I love the soft glow of the light through the custom “lamp shade”. It reminds me of rice paper lanterns. What design would you put on your custom lamp? Have fun crafting and creating! 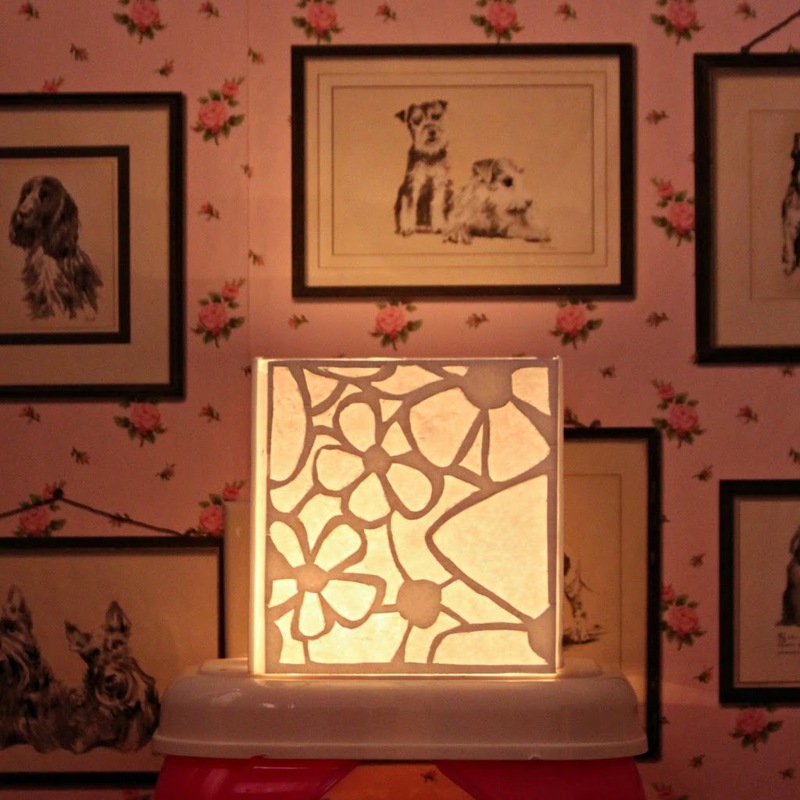 PS…here’s another super simple foam core lamp for beginners! I love this idea, and it turned out beautiful! I wonder if you used a light colored pencil on the remaining paper backing if it would take on a colored glass look? Thank you for the really great inspiration looks like a trip to the dollar store is in our near future! That’s a fun idea! I think you could even just cut out the backing and replace it with tinted vellum or tissue paper to create a colored glass look. I’ll have to try that!